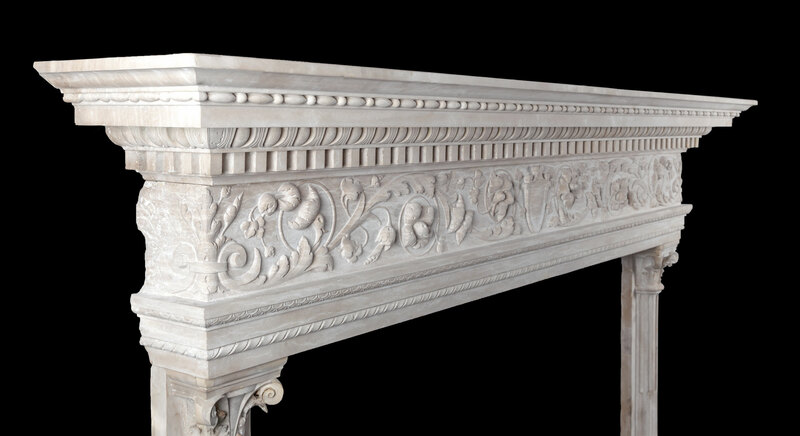 The deep shelf, with its front edges carved with dental, egg and dart and bead and reed motifs, rests on a very fine frieze. 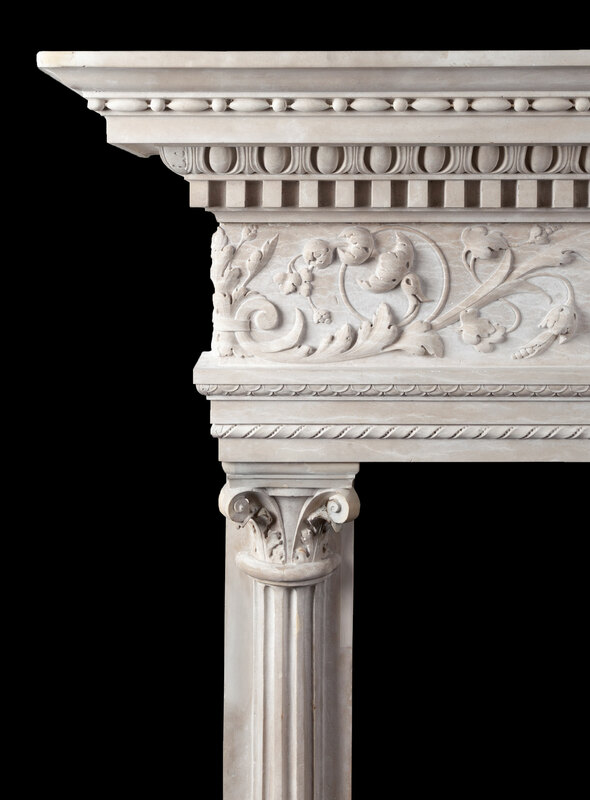 The frieze, which is a single solid block of stone, is carved in high relief with arabesques of husks, flowers and foliage. 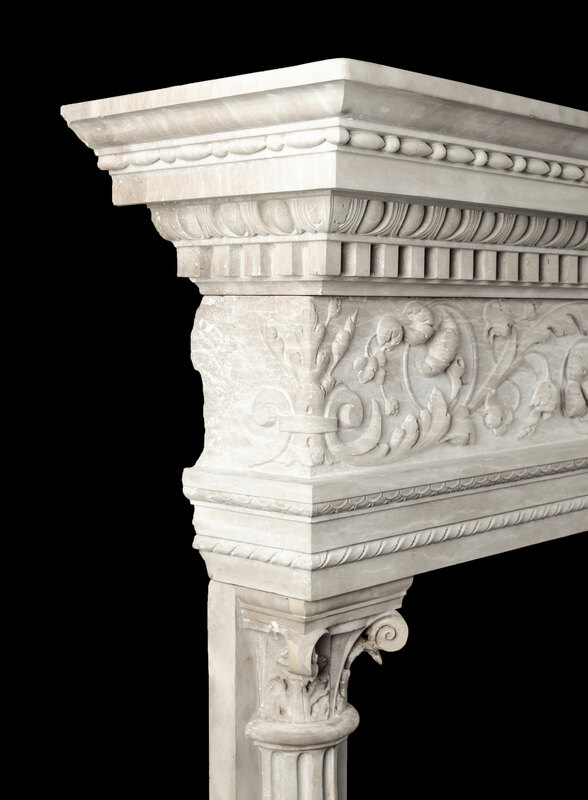 Supporting the frieze are Corinthian capped and fluted half columns, on balusters shaped pedestals, intricately carved with various ornate Renaissance decoration. Built by John Thomlinson in 1879 and demolished in 1969, the site now being the location of a caravan campsite. 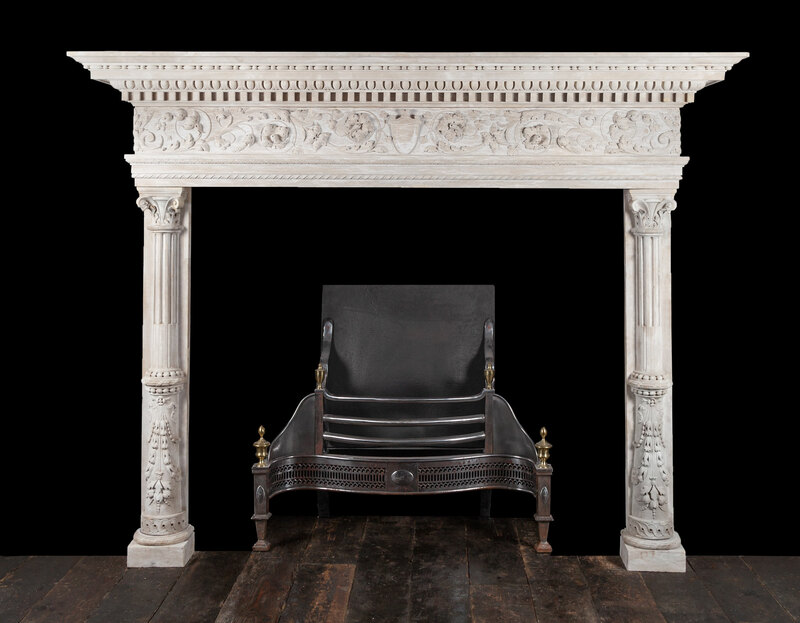 Ryan & Smith have recently bought six period fireplaces including this one, which were removed from the house by the owner and put into storage, prior to it being demolished. 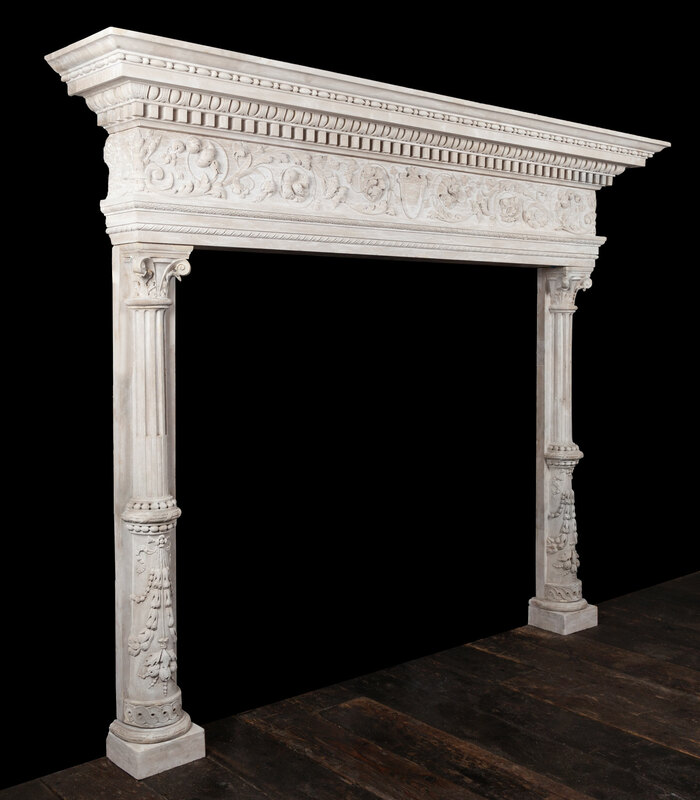 The six fireplaces are various ages and styles, as this one was made in Italy it was probably purchased on the grand tour by one of Englethwaites owners and brought to England.